International conference call China is easy to host. China-based participants can quickly join your international conference call. To access an International Conference Call China, the participants dial-in from China using the supplied China toll-free or China mobile access number. Our global conference bridge enables all attendees to clearly hear each other no matter where in the world they may be located. You can be the chairperson of an international conference calls from China. Or dial-in as an attendee. Shanghai, Beijing, Tianjin, Wuhan, Shenyang, Guangzhou, Harbin, Xian, Chongqing, Chengdu, Changchun Taiyuan, Nanjing, Jinan, Dalian, Qingdao, Lanzhou, Fushun, Zhengzhou, Changsha, Datong, Anshan, Hangzhou, Shijiazhuang, Guiyang or any other city in China. You can connect anyone to your call regardless of their country location using the included dial-out feature. Primarily used to add a participant in a remote country or to add another attendee while a call is in progress. 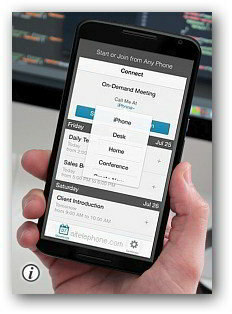 The included and free Connect app enables a connection to the conference call for the chairperson or the attendees with no access numbers to enter or remember. Download the app using the links sent with your account activation email. According to Deloitte, China's telecommunications industry is undergoing profound changes right now. Trends affecting China's telecom industry include industrial restructuring, mobility, broadband, and IP. In the not-so-distant past, there were six major telecom players in China. Today, that number has been whittled down to three thanks to restructuring. The three remaining telecommunications players are China Telecom, China Mobile and China Unicom. All three provide both fixed line and mobile services. In the post-restructuring era, competition is expected to be fierce. A move from voice-centered services to mobile data communications-centered services appears inevitable. Even with a most contemporary telecommunications system, many China companies rely and outsource to aitelephone.com their China international conference call requirements. 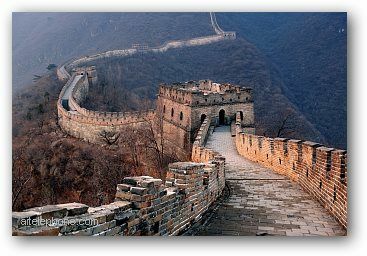 Of course, hosting China conference calls from with countries requires high quality line connections plus an array of China access options. The included optional connection options insures a successful conference call. Unsurprisingly given its massive population, China leads the world in telephone subscribers. In 2012, according to the CIA World Factbook, China had over 278 million main telephone lines in use, the most of any nation in the world. China also ranked #1 for the most mobile phones in use with 1.1 billion in use in 2012. This number continues to grow. At the end of 2012, China had over 564 million Internet users. China is also reportedly the largest user of VoIP. The CIA World Factbook reports that both domestic and international telephone services are available for private use and that the telecommunications infrastructure continues to be under development. As with many countries, access in rural areas can be spotty whereas most large cities are well-served. China's domestic infrastructure consists of interprovincial fiber-optic trunk lines, coaxial cable, microwave radio relay, and cellular telephone systems. China has a domestic satellite system and numerous earth stations. Connectivity to the rest of the world is provided via submarine cables and seven satellite earth stations. As an example, now your client in China can join a conference call with a marketing VP located in San Francisco or London and add other guests in Malaysia and Hong Kong, all on the same call. Optionally the China chairperson or attendee can use the 'Connect App' feature without dialing an access number. Use an iPhone, Android, PC or Mac to enter the China conference call. Mandarin Chinese/English bi-lingual dual prompt option is available upon request. Antigua, Argentina, Australia, Austria, Bahamas, Bahrain, Barbados, Belarus, Belgium, Bermuda, Brazil, British Virgin Islands, Canada, Chile, China, Colombia, Costa Rica, Cyprus, Czech Republic, Denmark, Dominican Republic, Ecuador, Finland, France, Germany, Greece, Hong Kong, Hungary, India, Indonesia, Ireland, Israel, Italy, Jamaica, Japan, Jordan, Korea, Luxembourg, Malaysia, Mexico, Montserrat, Netherlands, New Zealand, Norway, Panama, Poland, Portugal, Puerto Rico, Russia, Saudi Arabia, Slovakia, Slovenia, Singapore, South Africa, Spain, St. Kitts/Nevis, St. Lucia, St. Vincent, Sri Lanka, Sweden, Switzerland, Taiwan, Thailand, Trinidad, Tobago, UAE, UK, Uruguay, Venezuela, Vietnam. Examples of dial in access to a China International Conference Call with participants located in other countries. QingdaoChengyang Yuyuan Artificial Flowers Co., Ltd.
Rongcheng Rongda Rubber Products Co. Ltd.
Shaanxi Machinery Import and Export Corp.
Tianjin Sanfeng Minibus Co., LTD.
Yunnan Baiyao Industry (Group) Co. Ltd.
An International conference call China is simple using the China specific access numbers that work with China mobile phones or fixed land lines. 2 The conference call participants in China simply dial the included in-country China toll-free number or China mobile access number and enter a PIN code. 3 Other attendees dial-in from their country using supplied global access numbers. 4 All parties are joined together and can speak and be heard internationally. China access numbers and all of the other worldwide access numbers are sent to you immediately upon account activation. 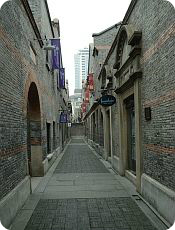 "We are located in Shanghai China, also the chairperson is in Shanghai. We are a film production house, we talk to many different people all over the world, so we have different parties on our calls, not the same on every call. Please let me know your best plan for us here in China"